Creativity and innovation in the kitchen have made Shawn Cirkiel one of Austin’s most coveted chefs and restaurateurs. 8 years ago, Cirkiel opened parkside—the city’s first gastro pub—to much fanfare. The accolades continue on for this sophisticated spot, which is housed in a converted two-story space on East Sixth Street, as they do for Cirkiel’s subsequent ventures: the backspace, a widely popular Neapolitan-style pizzeria, olive & june, an updated version of family-style Southern Italian dining, and Bullfight, an authentic Spanish restaurant featuring a variety of small, shareable plates and wildly popular takes on Spanish tapas. Cirkiel’s passion for local and seasonal food extends beyond the scope of his restaurants and has become a driving force behind his notable community engagement. As a child growing up on a farm, Cirkiel learned early on the integral role fresh ingredients play in cooking. He took that core knowledge with him to the Culinary Institute of America, where he refined his skills and style and developed an even deeper appreciation for sustainable food. He soon moved to Napa Valley to work in the kitchen at the esteemed Domaine Chandon before landing a job at New York’s Café Boulud. An entrepreneur by nature, Cirkiel moved to Austin to embark on his own endeavor: He took over as the owner/chef of the city’s beloved Jean-Luc’s Bistro, followed by a move to Uchi. It didn’t take long for devotees to realize Cirkiel was very talented. His success spilled over to parkside, the backspace, olive & june – named for his grandmother and his wife’s grandmother, and Bullfight. Inspiration for the many classic Italian dishes at olive & june came from the family dinners Cirkiel enjoyed as a child in the Italian-American neighborhood of the South Bronx, where Cirkiel’s father was raised. 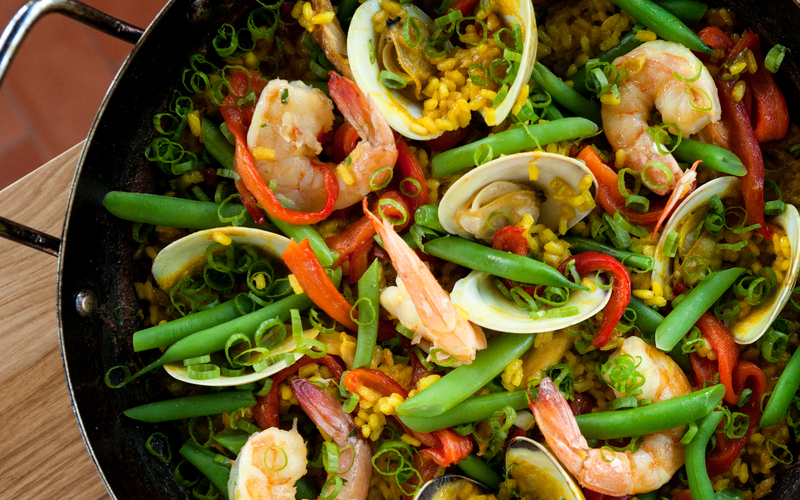 The vision for Bullfight came from Cirkiel’s love affair with Spain, and represents his most passionate work yet – bringing ambitious, thoughtfully-modernized Spanish classics and a colorful mix of regional tastes and flavors to Airport Boulevard. Cirkiel’s devotion to smart (sustainable) cooking and the community is evident by his involvement in many projects, including an initiative at Austin’s Highland Park Elementary, where he has helped develop healthy-eating, exercise, and gardening programs. Cirkiel is also a founding chef of the Sustainable Food Center’s Farmers Market in downtown and a board member and secretary for the Sixth Street Austin Association, which has been fundamental in raising funds to restore the legendary district. And while the chef maintains a high profile around town and in the media—he’s been noted in numerous publications, including Southern Living, Food Arts, Cooks Illustrated, Bon Appetit and the Los Angeles Times—Cirkiel doesn’t stay out of the kitchen for long. From the routine trips to Shipley’s doughnuts with her dad, to watching the cake decorators’ spectacles during grocery store trips with her mom, Jules has always had a passion for pastry. Stoddart joined the Parkside team in January 2017 and is the executive pastry chef responsible for overseeing pastry programs at The Backspace, Parkside, Bullfight and Olive & June. 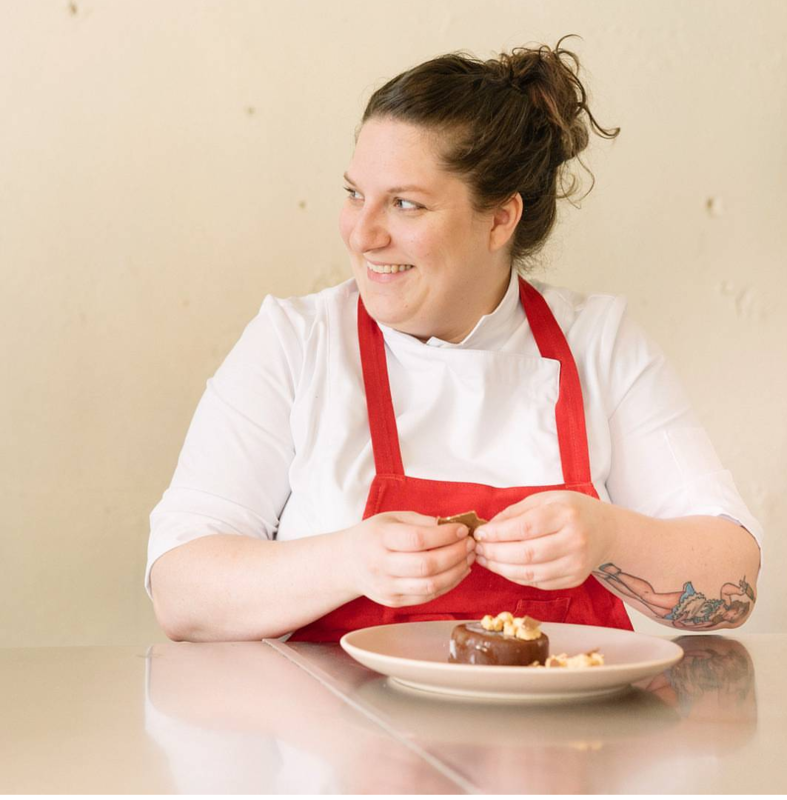 Prior to her time at Parkside Projects, she worked under James Beard Award Semifinalist Amanda Rockman as pastry sous chef at South Congress Hotel in Austin, Texas, where she produced and executed a number of desserts and pastries for the hotel’s restaurants and special events. Before moving to Austin in 2015, Stoddart began her career on the opening team at Nico Osteria under Rockman’s lead. In addition to earning a diploma in baking and pastries from the Illinois Institute of Art in Chicago, Stoddart is a graduate of the University of Louisiana at Lafayette with a degree in Marketing. She consistently creates new confections with a focus on quality ingredients and has a passion for actualizing her own vision in an evolving world of pastry. Parkside Projects not only represents Chef Shawn Cirkiel’s collection of unique restaurants and his original Parkside, but pays homage to the Parkside Projects in the Bronx, where his father grew up. From humble beginnings, Austin native, Shawn Cirkiel has created from scratch several unique restaurants that are still all very similar. Each of our restaurants are defined by a commitment making simple, ingredient-driven dishes and making everything in house with local ingredients or the best ingredients we can find. But that is only half of our reputation. Shawn Cirkiel, a cook by trade, values friendliness and detailed service above all else. You’ll find this warmth and consistency in all of our restaurants and pairs perfectly with Shawn’s genuine food. Since Parkside opened in 2008, community engagement has been priority for Chef Cirkiel. Early projects include an initiative at Austin’s Highland Park Elementary, where he has helped develop healthy-eating, exercise, and gardening programs. Cirkiel is also a founding chef of the Sustainable Food Center’s Farmers Market in downtown and former board member and secretary for the Sixth Street Austin Association. Today Parkside Projects contributes tens of thousands of dollars a year in financial support, food, and time to local charities and service organizations. We have been incredibly fortunate in our growth and strive to grow equally in our ability to give back to Austin. We are thrilled to receive requests daily and try to respond to, participate in, and contribute to as many people as possible. Please send your giving requests here, if we are able to help we will respond within a few days. Parkside Projects offers private dining experiences at all 3 of its unique restaurant concepts. 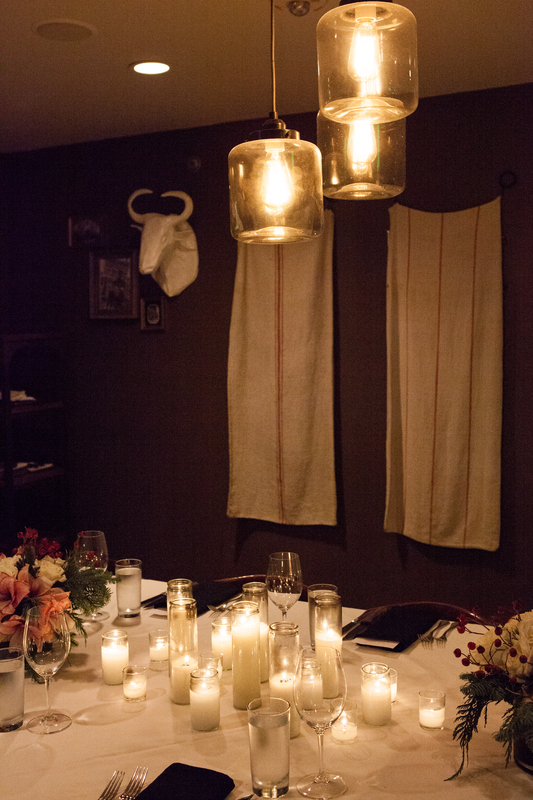 From intimate private dining rooms to entire restaurant buyouts we are available to host any and all of your upcoming special occasions. Parkside. 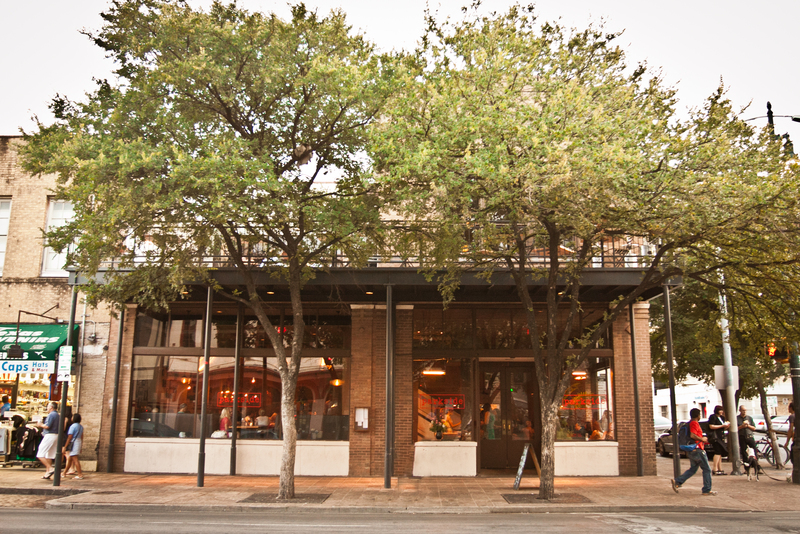 The Backspace, and 800 Congress offer settings in the heart of downtown Austin. 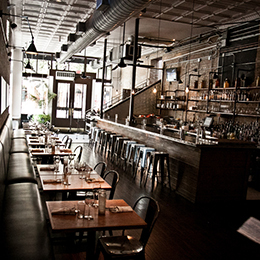 Indoor/outdoor neighborhood options can be found at Olive & June. Contact our Events Team to begin planning your event today! 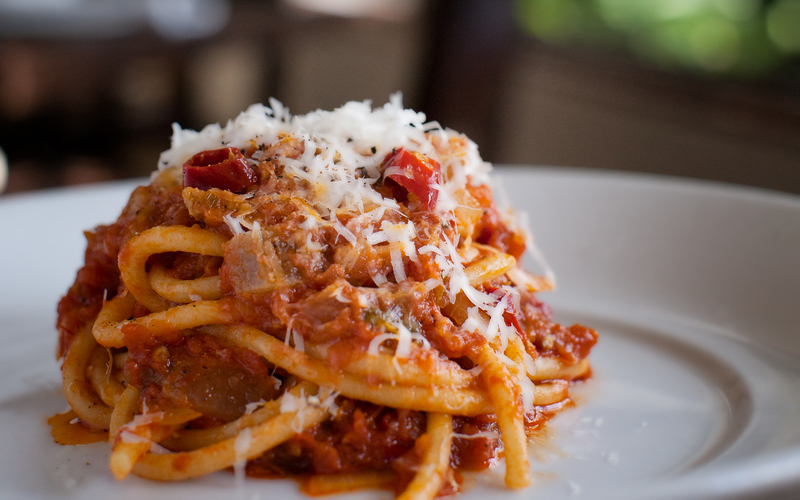 Chef’s weekly rotating family style menu, featuring seasonal antipasti, pasta & entrée courses. 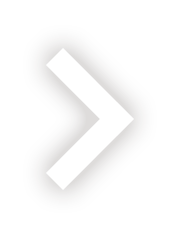 Follow Parkside Projects & sign up for our newsletter so you don’t miss our upcoming events! Native to Austin, restaurateur Chef Shawn Cirkiel and Parkside Projects are best distinguished by an organic path to success and growth. Sometimes, simply a great location, plenty of investors or clever branding can build one profitable restaurant or an empire, but this has not been the narrative for Chef Cirkiel. The life story of each restaurant is one of finding customer loyalty in unlikely locations and with limited resources. And rather than a series of lucky moves that led to success, it has been Chef Cirkiel’s kitchen philosophy as a cook, first and foremost, and his willingness to always adapt and try new systems —or, as the chef says, always get better— that has enabled Parkside Projects to flourish. Parkside, Chef Cirkiel’s first restaurant, pays homage to the Bronx, N.Y., housing project where his father grew up. 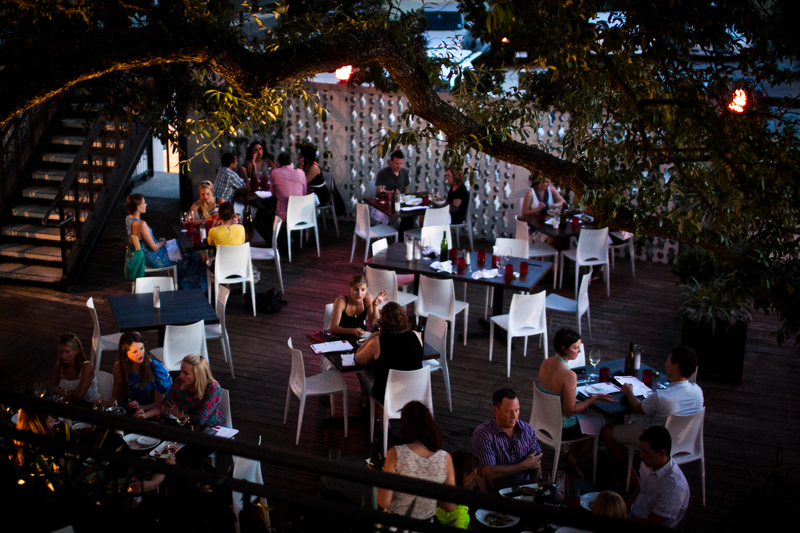 In 2008, Parkside opened on historic Sixth Street, a decidedly non-culinary destination, as a farm-to-table concept long before that or casual fine dining became buzz phrases in Austin. Every night since, Parkside has been filled not so much by tourists, but by a mix of downtown locals and surrounding Austin’s destination diners. 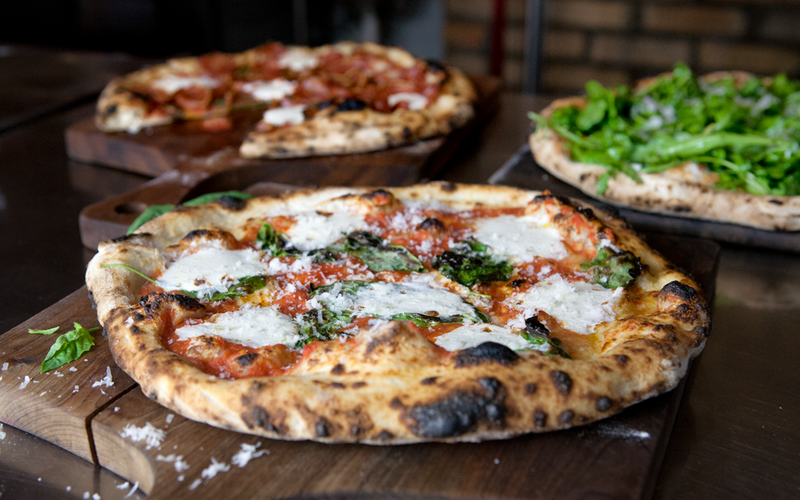 Two years after launching the Parkside concept, Chef Cirkiel opened The Backspace, Austin’s first true Neapolitan pizzeria, directly behind Parkside. The better part of a decade later, the corner of Sixth Street and San Jacinto Boulevard continues to anchor the downtown dining scene. In 2012, at a time when few chefs wanted to venture from downtown, a beautiful three-story building surrounded by a 200-year-old oak tree became available in the Bryker Woods neighborhood in Central Austin. 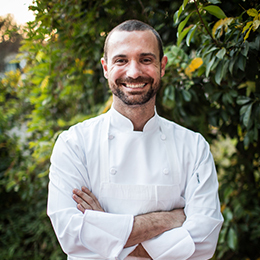 In just a few months, Chef Cirkiel transformed the space into authentic Italian eatery Olive & June, named for his and his wife’s grandmothers. The restaurant features the most dynamic Italian wine and Amari lists in Austin, and prepares a dozen different pastas in-house daily. Now an established neighborhood favorite, Olive & June celebrates its fourth anniversary in 2016. Chef Cirkiel’s newest restaurant, opened in 2015, also has an organic family connection. 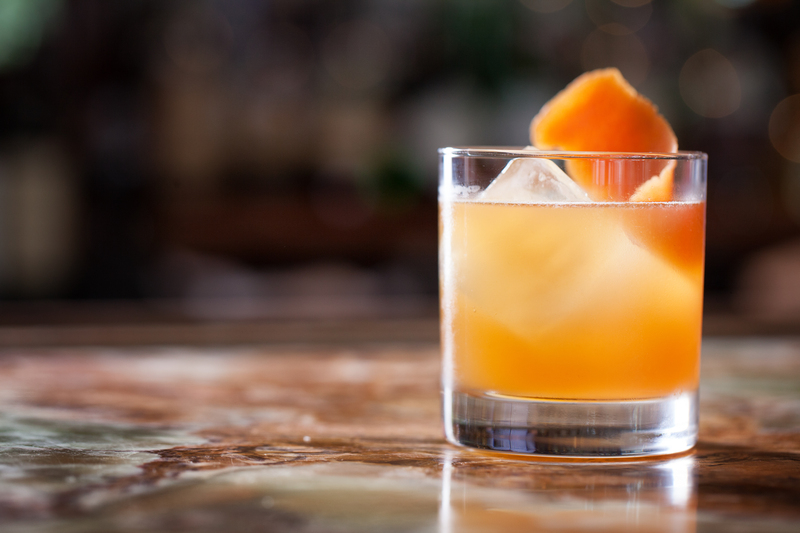 Bullfight, a modernized take on a classic Spanish concept, was built on the Airport Boulevard site of his grandfather’s post-World War II service station, and has already gained much critical acclaim. All this diversity is fueled by commonality in food and operation. Chef Cirkiel attended the Culinary Institute of America in New York, where he found his passion for ingredient-driven food, a tenet readily noticeable at each of his restaurants. After culinary school, he honed his skills in Napa, Calif., at Domaine Chandon, and in New York City’s Café Boulud, influential culinary experiences he brought back to Austin, where Chef Cirkiel took the helm at Jean-Luc’s Bistro as Austin’s youngest five-star chef, before opening Parkside. Inspired by these culinary ventures and the purity of ingredients, Chef Cirkiel adheres to strict yet basic cuisine standards at each of his restaurants: The ingredients are local, the recipes are made in-house and, most importantly, the dishes are uncomplicated. Ingredient-driven means every dish highlights three or four ingredients, sourced and prepared at their best. Where some see the achievement in an entrée with 15 components, Chef Cirkiel sees the beauty in perfectly seared chicken or potato gnocchi cooked not a second too long. This simplicity breeds efficiency and perfection. Consistent with its lineage, Chef Cirkiel’s Parkside Projects restaurant group is a testament to sustainable growth, and is built entirely by the staff and systems perfected in each restaurant. If his love and respect for food are the inspiration behind his resume, it is the people he’s developed and the systems they implement that have led to growth without diluting the experience. Any chef will agree a key metric of success is when a restaurant operates well, regardless of whether the chef is on-site. This is how a restaurant successfully grows, and this is what Chef Cirkiel and his team have mastered. If you play a game of Six Degrees of Shawn Cirkiel, you can create a spider web-like network that ensnares almost every chef of consequence in this town. If a chef hasn’t worked under, over or alongside Cirkiel, one of his current or previous co-workers has. Cirkiel’s demi empire includes Parkside, Backspace, Olive & June and Bullfight. First opened in 2008 on historic 6th street, Austin native Chef Shawn Cirkiel pays homage to his family with Parkside, named for the housing project in the Bronx where his father grew up. 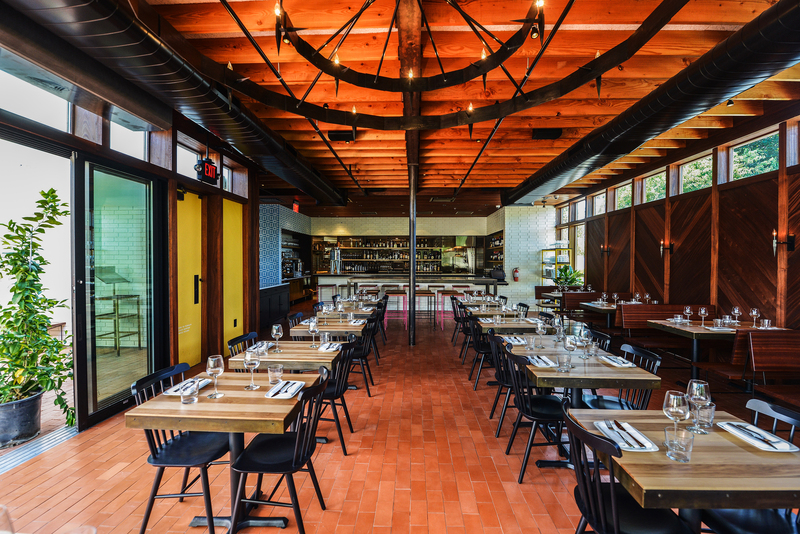 Before “farm-to-table,” “house made,” and casual but elevated service became the calling cards of Austin, Parkside has now set the standard for downtown dining for the better part of a decade. 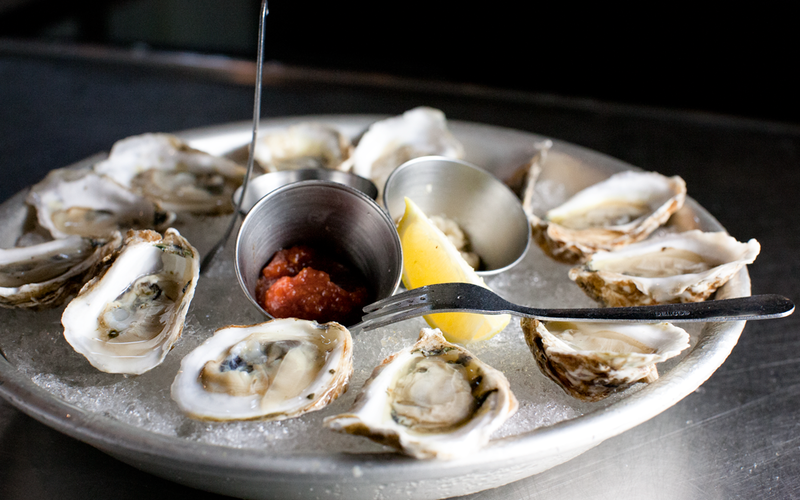 Parkside, our original and our flagship restaurant, is best known for its extensive raw bar and its superior selection of oysters from around the country. Patrons of Parkside feel at home a suit or sandals, where a seasonal menu of locally sourced proteins and produce come together in form of a beautiful lamb entrée or our awarding winning cheeseburger. Not to be overlooked, Parkside’s acclaimed pastry chefs make dessert anything but an afterthought. 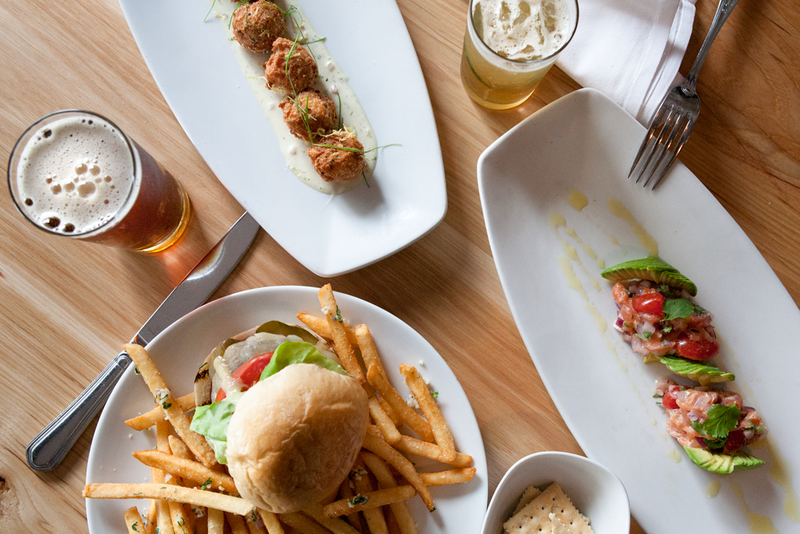 Austin’s original gastropub, Parkside continues to gain affection from tourists and locals alike, and its ingredient driven menu and consistent service are the foundation for every one of chef Cirkiel’s restaurant since. 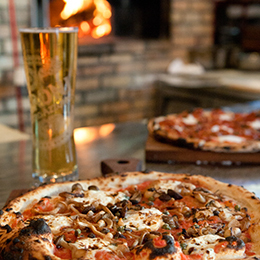 Literally in the backspace behind chef Cirkiel’s iconic Parkside, is Austin’s first Neapolitan pizzeria. 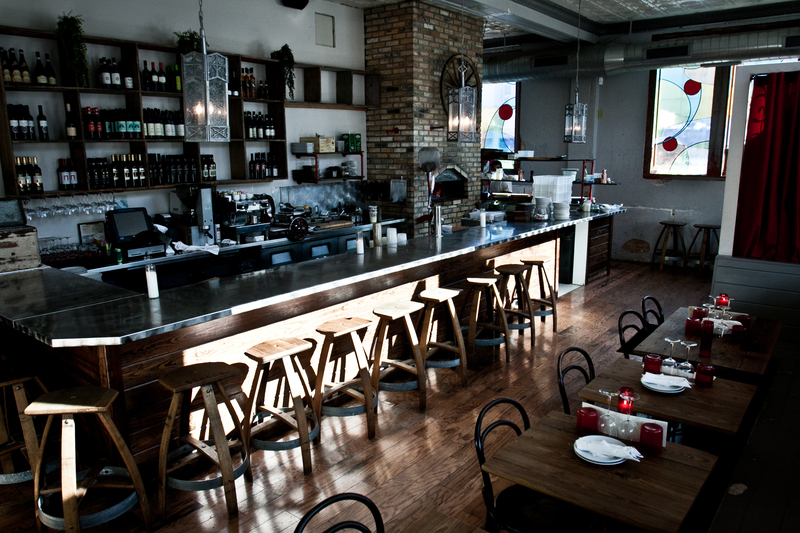 Intimate and unapologetic, the Backspace is a rustic, 30 seat oasis off 6th street, featuring all Italian wine, one Italian beer, a seasonal selection of Italian antipasti and, of course, Neapolitan pizza. The flour, the tomatoes, and the centerpiece of the dining room, our brick oven, are all imported from Italy to make a style of pie that, with our homemade mozzarella, can only be called Neapolitan. 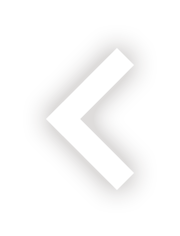 Founded in 2010, the backspace is now open for lunch and dinner; reservations are highly recommended, but we always keep our bar counter open for walk-ins. 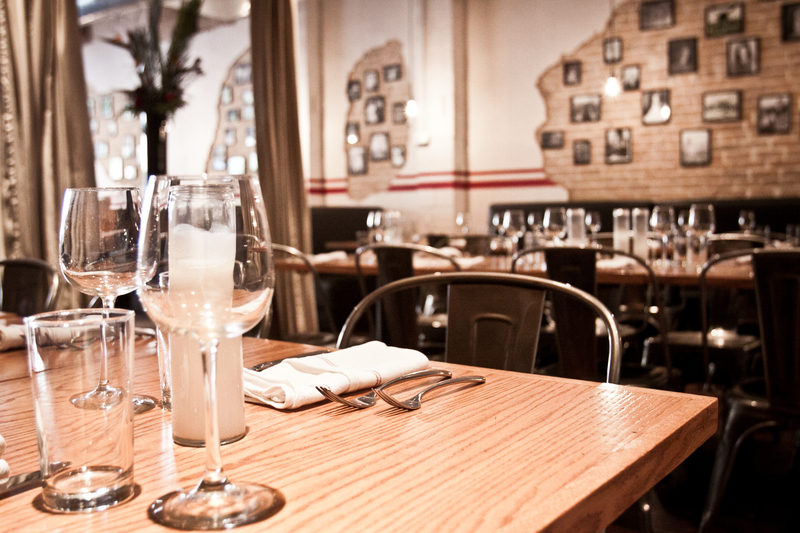 Have a drink at Parkside next door or take a quick tour of 6th street, and we’ll call you when your table’s ready! Named after the grandmothers of chef Shawn and his wife, Olive & June opened in 2012 with an emphasis on making every pasta, as many as 12 different kinds, in house daily. If this doesn’t make Olive & June unique enough, the 3 story building is enveloped by a 200 year old oak tree with 4 different dining areas inside and out. 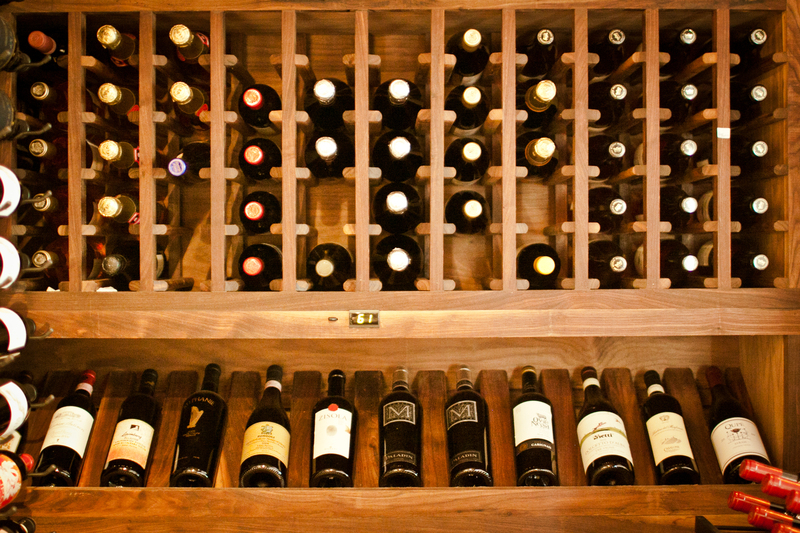 Olive & June has the largest and most diverse selection of Italian wine, Amari, and Grappa in the city, but to central Austin’s regulars it’s equally well known for its formal yet friendly service, a hallmark of all Shawn Cirkiel restaurants. Celebrating the cuisine and culture of Southern Italy, expect to see new menu features daily focusing on fresh vegetables, pasta, and its famous piccoli piatti where everything is meant to be shared. 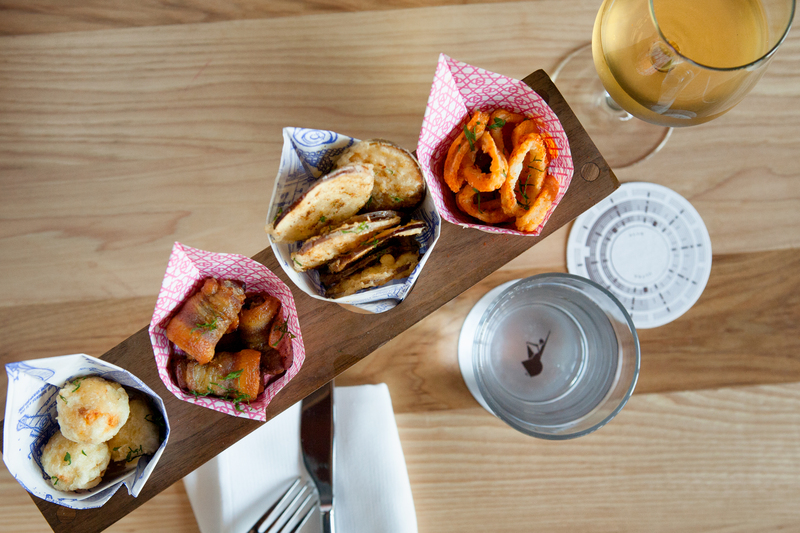 7co is a Parkside Project’s newest venture. A full-service event venue (with a large outdoor space!) located in the heart of East Austin at 7th and Comal. The unique private event space is perfect for corporate events, weddings, rehearsal dinners and other special occasions. The property spans an entire city block boasting high end interior finishes, a stunning 15,000 sq. ft. outdoor space and a 1000 sq. ft. terrace with its own fountain. This new venue allows for a fully customized event lending itself to many different styles. 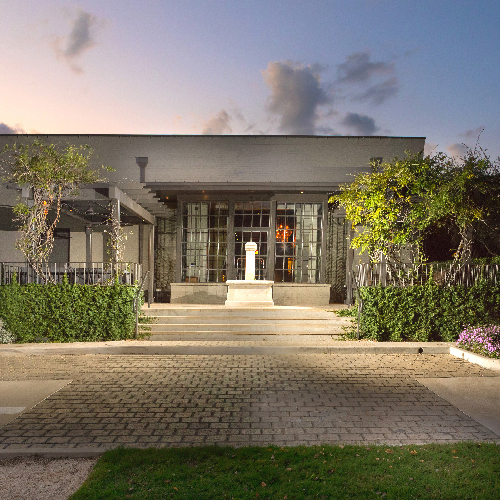 Parkside Projects’ first venture outside of restaurants is found in event venue 800 Congress. 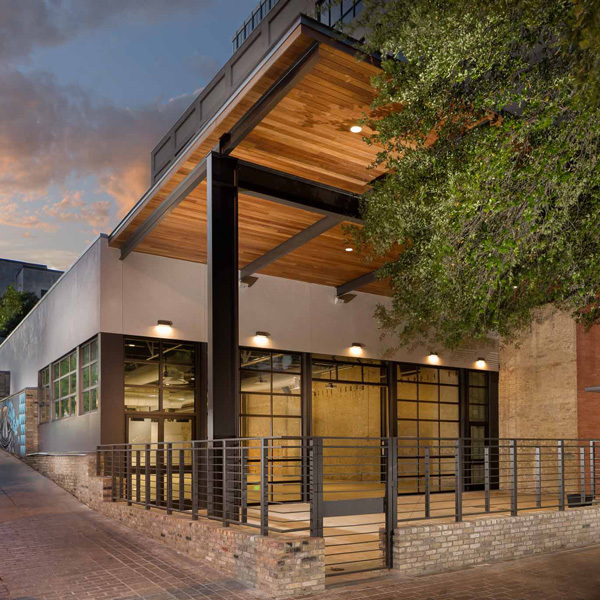 Named after the location’s physical address, 800 Congress is downtown Austin’s newest event venue located on historic Congress Avenue. With an open, industrial feel and views of the Paramount Theatre and the Capitol it is the event destination of ‘No-Co’ (North Congress). Venue features include original exposed brick & foundation walls, projector with 200” projection screen, state of the art sound system, & VIP room with private entrance. A truly versatile space, 800 Congress is a blank slate for creating the downtown Austin event you’ve been waiting for. 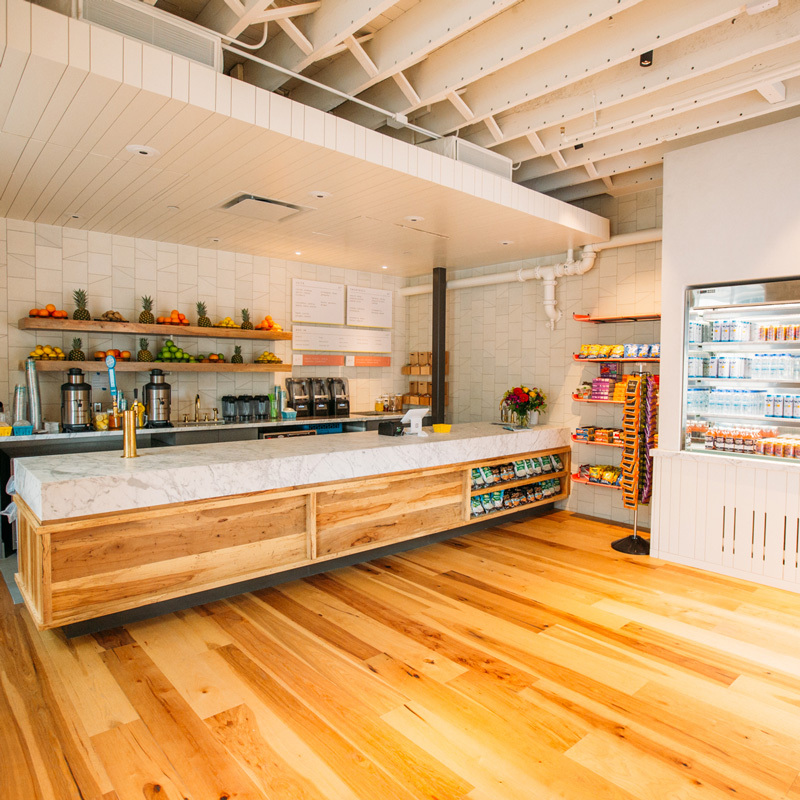 The newest venture from Chef Shawn Cirkiel’s Parkside Projects, Jugo is the new healthy, grab-n-go destination in downtown Austin. Opened in March 2017, the fast casual spot offers fresh-pressed juices and smoothies made with a variety of local, organic and seasonal ingredients. JUGO also serves a selection of freshly made and packaged to-go items, in addition to sandwiches, salads, protein packs and lighter snacks. Ideal for locals on their way to work or visitors enjoying historic downtown Austin, JUGO is the reliable and healthy go-to option. Building upon the philosophy of food and hospitality that has made Parkside a standard for downtown dining, Shawn Cirkiel opened Olive & June in 2012. 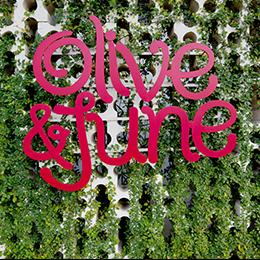 Excited by the opportunity to be just a few minutes north of downtown near family and friends, Olive & June focuses on Southern Italian and is named after he and his wife’s grandmothers. Olive & June highlights a long list of superlatives including as many as 12 different pastas made in house daily, the most comprehensive list of Amari and Grappa, original Italian influenced cocktails, and the largest and most diverse Italian wine list in the city curated by beverage director and advanced sommelier Paul Ozbirn. Parkside Projects’ executive pastry chef Erica Waksmunski, also responsible for all pasta and bread production, rounds out Olive & June’s unique menu with outstanding desserts. Shawn’s dedication to sourcing local, finding the best ingredients, and making everything in house continue to be a theme, but at Olive & June they are appreciated in a beautiful 3 story building surrounding a 200 year old oak tree. 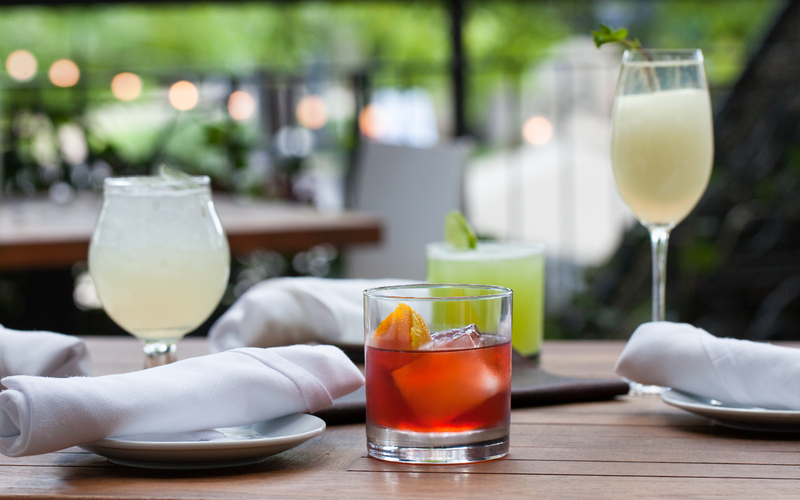 The atmosphere is as casual as Austin, but the service and attention to detail makes Olive & June a perfect spot for a weekly haunt or a special occasion.